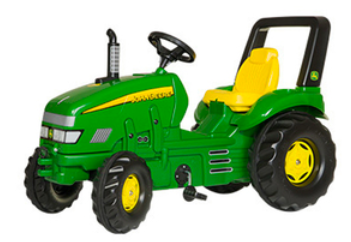 This tractor is modeled after the real deal from John Deere. The trailer is detachable, and it is designed to allow users to haul their belongings everywhere they go. It has a weight capacity of up to 85 pounds. 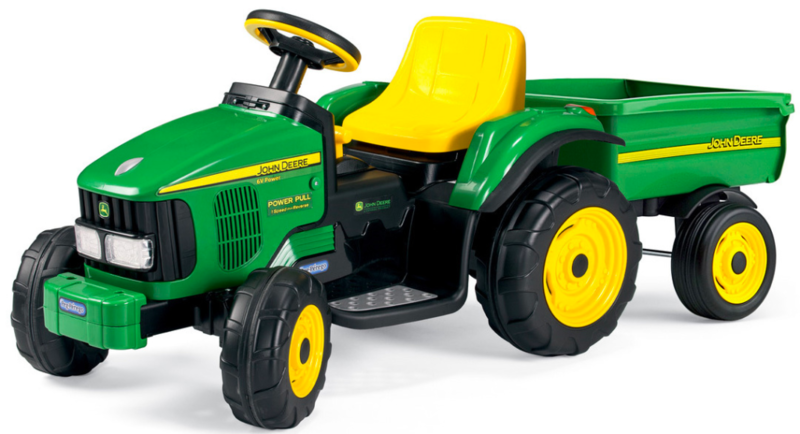 This ride-on tractor has all of the bells and whistles you’d expect from John Deere, including a working FM radio, a usable horn, and a large cup holder. It also comes with a removable tool case. 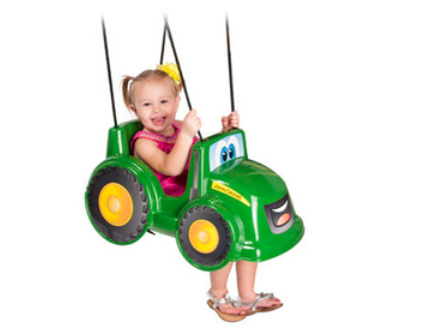 This swing is perfect for kids aged 0-24 months, and it comes with a sturdy nylon rope and safety strap to keep little riders safe while the toy is in use. 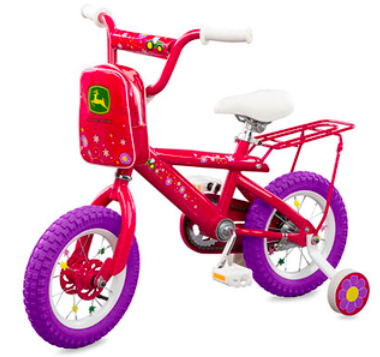 This brightly colored pink and purple bicycle is perfect for beginner riders who want to allow their imagination to zoom. It comes with adjustable and removable training wheels. 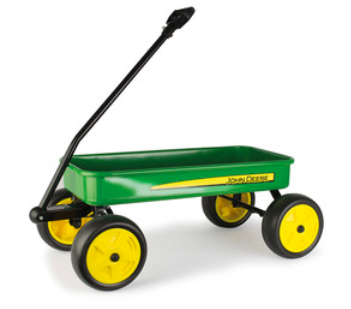 This wagon from John Deere has a 28-inch seating area, which is perfect for a single rider. It also features heavy duty steel construction, meaning it can stand the test of time. It has an easy-to-use grab handle and smooth ride tires. 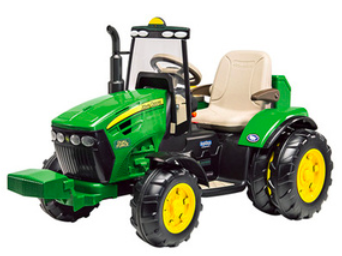 This tractor is ideal for children ages 2-4, and it’s pedal-powered for maximum fun and motor skill development. It features a front lifting hood for extra play value, and it has an adjustable molded seat. 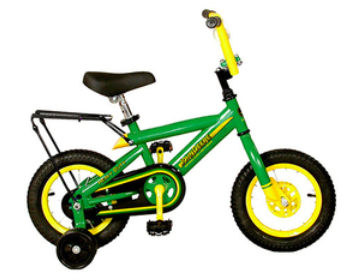 This 12-inch bicycle has a heavy-duty steel frame, meaning it’s ready for rough and tumble. It also comes with a carry rack and adjustable training wheels for those who are still learning to ride.